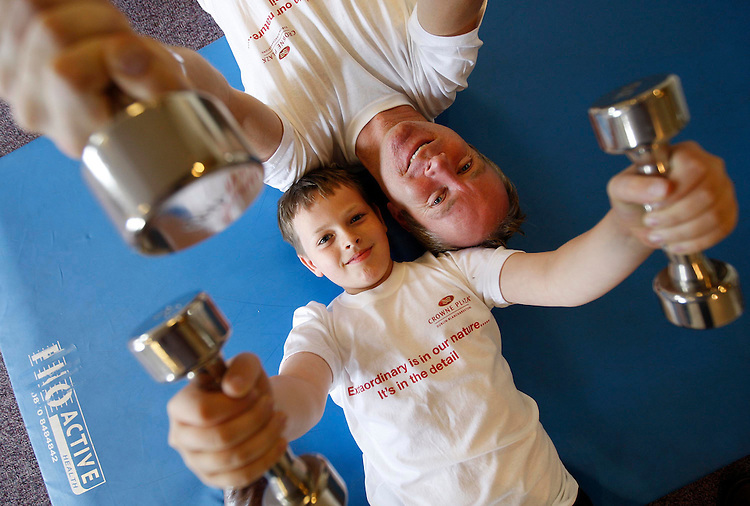 Extraordinary is in our nature......Ireland's youngest Mountineer, Sean McSharry, age 10 from Stillorgan, Dublin pictured here pumping iron with his Godfather, Ian McKeever in the Crowne Plaza Hotel, Santry in preperation for their ascent of Mount Ebrus, Russia this weekend. Pic. Robbie Reynolds.